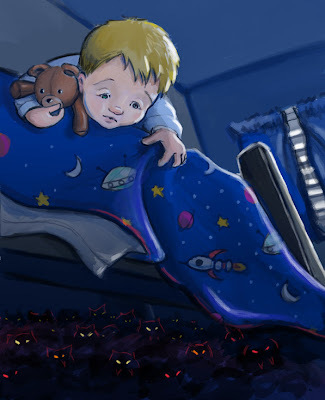 When I was little, I was afraid of all the creepy crawlies beneath my bed! Here's a little drawing to better illustrate my fears! A superb illustration. I like the multiple eyes it gives the piece a feeling of tension. That's a lot of creepy crawlies, nice illo, like the blankie.